I came across a Handysitt shortly after I had my first son almost nine years ago. 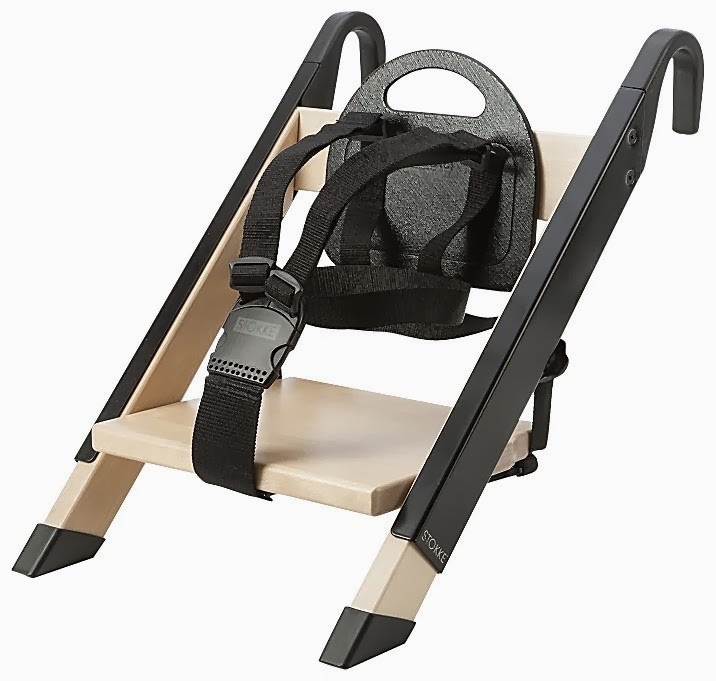 Back then, these were made in Denmark (now these are sold by Stokke, who has recently begun distributing this seat in the US), hard to find, and did not have a 5-point harness or the curved supportive back. Even so, they were still comfortable, well-designed and very sturdy. I saved up and bought one to use as a restaurant/travel high chair. We took it with us everywhere, both across country and internationally. It was, hands-down, one of the best gear purchases we ever made. When our twins were born we immediately bought a second Handysitt so each that each baby could have one. This little seat hooks onto the back of most chairs (the hook arms are adjustable) and allows your child to sit at the table with you at a perfect, comfortable height. Their feet rest comfortably on the chair the Handysitt is attached to. Really, really brilliant. Even better? It folds flat, weighs just over 5 pounds and can easily fit into most stroller baskets or your suitcase, if traveling. 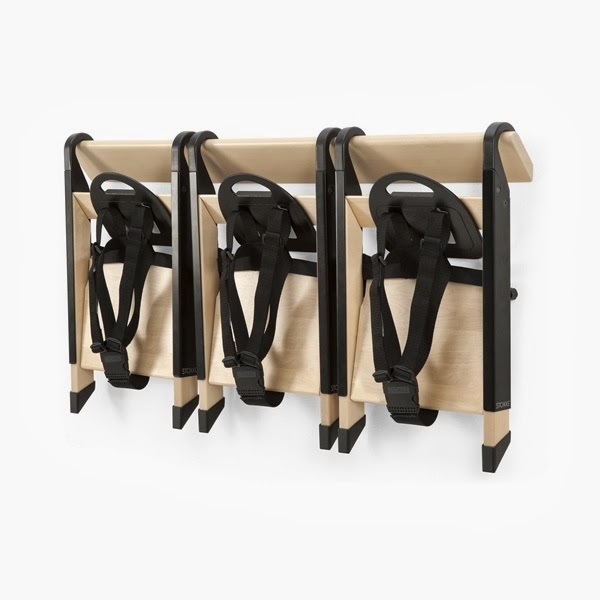 The price for these Handysitts stops many parents in their tracks ($104 for just the chair), but Gilt has an amazing sale on these that goes for two more days. They have marked both the Handysitt and its travel bag (a set including both items) down from $125 to just $48! Keep in mind that the travel bag alone retails for $46. This seat can be used for a sitting infant (around 6 months) through a 5 year-old child... extremely versatile. Gilt also has Handysitt's $20 seat cushions marked down to only $8. A Handysitt, travel bag and seat cushion would be a show-stopping baby gift and a game-changing piece of baby equipment for parents. I credit the Handysitt for doubling the length of time that our kids were happy in a restaurant. And it was a perfect space-saver in our small East-Coast apartments where the last thing we had room for was a bulky high chair. And there is my spiel. I LOVE these seats and hope that you will too. This Gilt price is the lowest I have seen in almost ten years, so don't delay! PS Some Gilt customers are currently being offered a 20% off promotion with the code GILT20. It is unclear if this is customer-specific (mine came in an email today), but it is worth a try to bring the cost of a Handysitt down almost another $10. Let us all know if you have luck with this code!